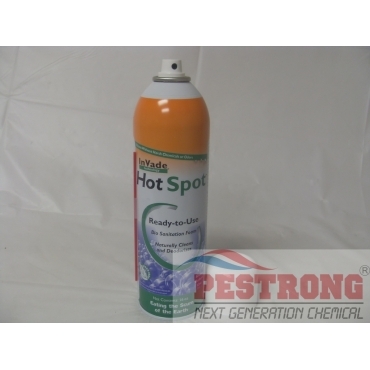 Where to Buy Invade Hot Spot, Invade Hot Spot Bio Aerosol Foam Cleaner - 16 oz - $16.25 for Sale with Fast Free Shipping! Invade Hot Spot Bio Aerosol Foam Cleaner - 16 oz removes stains from milk, soda, juice, wine, beer, food residues, oil, vomit, urine and other organic buildups. By buying this product & leave product review you can collect normally 1 reward points as a voucher of $0.10(1%). PT PI Contact Insecticide Pyrethrins.. It is a probiotic foaming cleaner that contains premium, natural, scum-eating, odor eliminating microbes to do the dirty work. It contains no harsh chemicals or odors. The rich thick foam clings to surfaces as it slowly dissipates giving the microbes maximum contact time to digest scum and eliminate odors. It's perfect for carrying along on a quick service call or leaving behind as an add-on sale. Hot Spot does the cleaning that no one else will. Hot Spot comes with a 360 degree valve and fan spray actuator, making it easy to coat scummy surfaces. The standard fan spray actuator is simply popped off and the extension tube actuator is snapped on in its place. Apply Hot Spot to scummy surfaces, cracks, crevices, and drains and anywhere organic matter accumulates. can be used to clean a variety of stains on carpet. 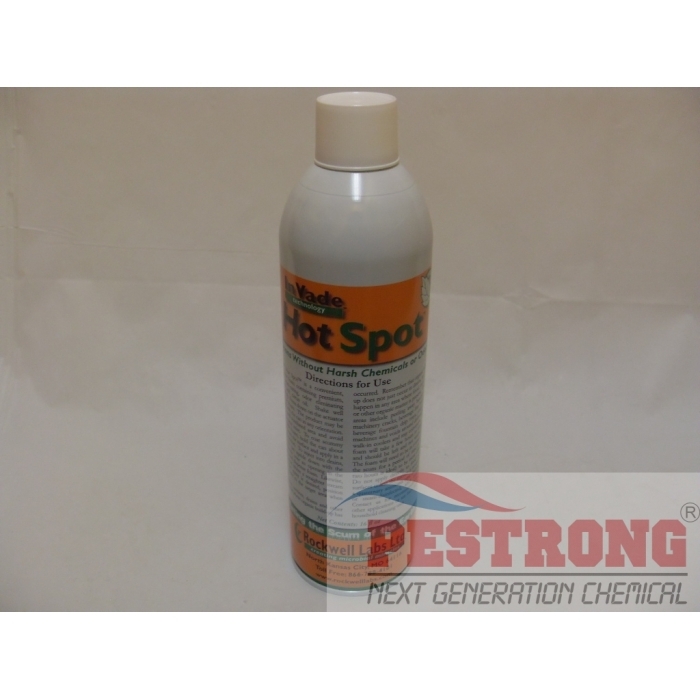 Hot Spot is best applied immediately after a spill while the stain is still wet. If applied later, lightly spray over the stain with water to moisten the area to be cleaned. Multiple applications of Hot Spot may be necessary for very dark stains, or old stains. Hot Spot should be allowed to completely dissipate on the stain. Do not scrub or wash after application. Simply spray over the stain, completely covering it with foam and allow the microbes in Hot Spot to work undisturbed. Hot Spot works well on soda, juice, milk, wine, beer, food residue, oil, urine, vomit, and most other organic matter. Hot Spot can be used to control a variety of household odors as well. Smelly drains, garbage disposals, litter boxes,and trash cans are all ideal areas to be cleaned using Hot Spot. In the case of drains and trash cans simply spray Hot Spot into the receptacle and allow it to dissipate. For litter boxes spray Hot Spot into the box and pour a normal amount of litter directly on top of Hot Spot. Other scummy or smelly surfaces may also be treated with Hot Spot. Avoid treating direct food contact surfaces with Hot Spot. Always test Hot Spot on a small area of any fabrics first to be sure it will not stain. This is ready to use and it's ready to slay all organic based stains. I have used this on even some very hard to get rid of stains, like a red wine stain I had in my carpet. Everything else I have tried failed to get the job done and I didn't want to use harsh chemicals that might end up ruining the carpet entirely. This worked so well in tackling stains. The red wine stain was gone within minutes and I started spraying whatever stains I saw. The nozzle extender hose that is made for this sprayer works fantastic for the tight spots I myself could never possibly reach. This is a wonderful product and it's entirely biological, not synthetic and questionable. Easy drain tool for my kitchen.